Sensitec's world of application To set the benchmark, you have to measure it. Be the benchmark. When development of the MR sensor products for industrial and automotive application began, it was clear that the areas of application would be virtually unlimited. Our products are in use everywhere, where movement is controlled and steered, where paths, angles, positions, electric or magnetic fields are measured and detected. Move safely through traffic with Sensitec sensors. MR sensors are used at various measuring points in modern cars and commercial vehicles. Improved process efficiency using MagnetoResistive sensors. Precise detection of highly dynamic movements and positions using MagnetoResistive sensors. Highest level of integration for even more performance. Integrated sensor solutions for more reliability with new possibilities in terms of functions and performance. 100% market share with MagnetoResistive sensors on Mars. MR sensors control all movements of the Mars Rover and their durability make them perfect for aerospace applications. Convenient everyday life thanks to modern Sensitec sensors. 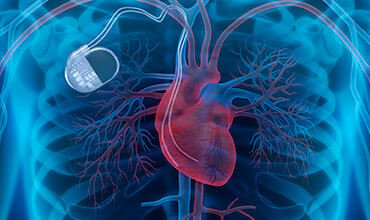 Compact MR sensors allow new areas of use in medical technology and diagnostics. What would you like to measure? Sensitec has the right solution! Sensitec works closely with users to develop durable and precise products. Special solutions for special applications! Some requirements cannot be implemented directly with a standard solution. In these cases, our competent development team is prepared to implement your individual system solution together with you.